This was my first 100th birthday cake. At first, I had visions of 100s everywhere. However, the birthday girl did not want to see that number anywhere on her cake! 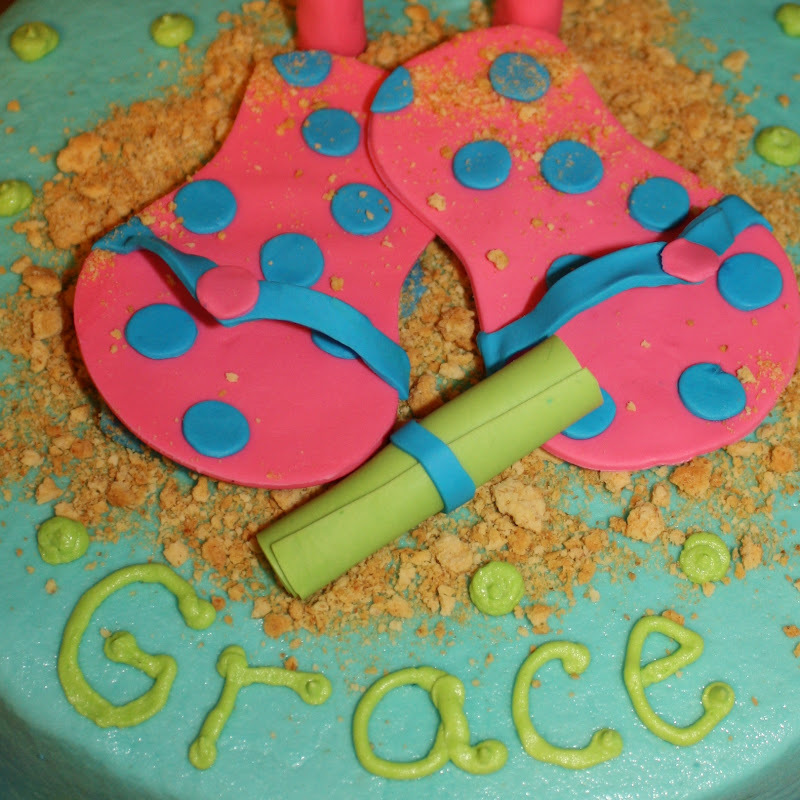 So instead, her family shared some details from her life to be incorporated into her cake. She was born and raised in London, played tennis until she was 90, was an architect, landscape architect, avid gardener and traveler and even travelled around Australia in a camper. We can all only hope to be that interesting! These flip flop cookies were ordered as a graduation gift. 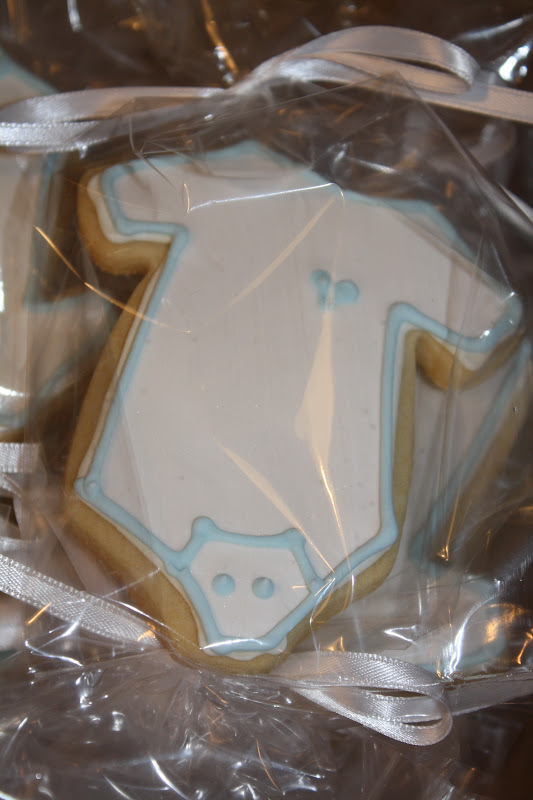 These little baby boy cupcakes and onesie cookies were made for a friend's sister-in-law's shower. Half the cupcakes were chocolate and half yellow. 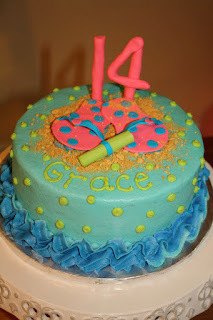 This cake was for our neighbor Grace who turned 14. 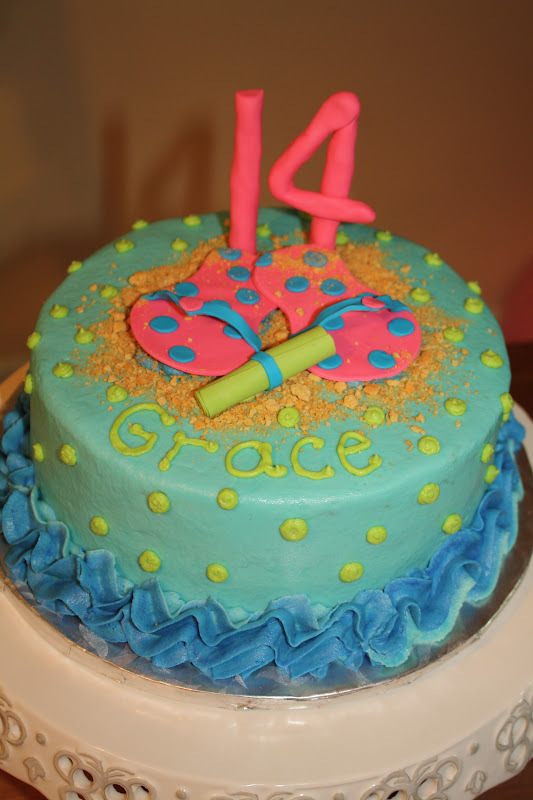 She wanted a summer themed cake, yellow cake with buttercream frosting. 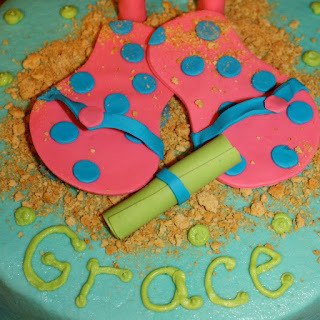 Happy Birthday Grace! These Cars themed cupcakes were ordered for twins turning 3. Half the cupcakes were chocolate and the other half yellow. Get your kicks on Route 66!